Dream Bingo focuses on the entertainment side of bingo. The website was created by bingo lovers, for bingo lovers. There is a wide variety of games and you don’t just win cash prizes – you could also win tech goodies, hampers and much more! Dream Bingo uses the latest Microgaming software, which gives you HD graphics for an enjoyable playing experience. It has a user-friendly interface so that players can easily find their favourite games. Security is very important to the team at Dream Bingo which is why they use the same banking software as the big financial institutions. They also keep player’s information private and secure, so you can be confident that your privacy is never compromised whilst you play with Dream Bingo. In 2016, Dream Bingo completely changed its gaming system. 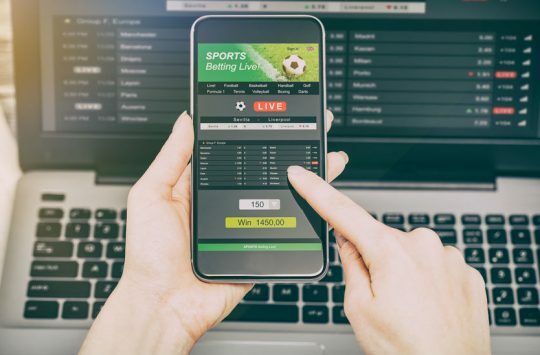 They increased the number of bingo rooms, revamped the game schedule and placed a limitation on the number of tickets which can be purchased with a bonus, in order to make the bingo playing process fairer for players using cash to buy their cards. 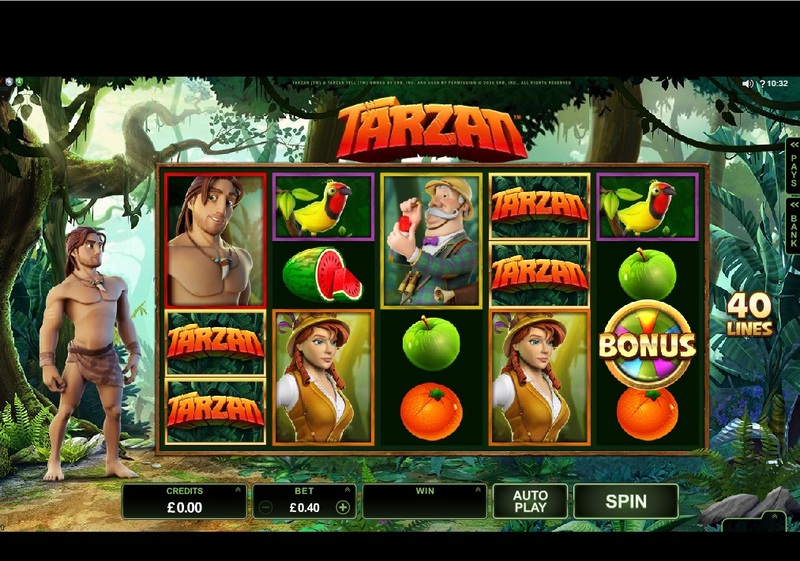 Use of cash rather than a bonus is also required for some of the larger jackpot games. Dream Bingo also lives up to its name by offering visitors to the website the chance to tell them their dream for the opportunity to win it. Each week, one person’s dream will be selected at random and they will win it – be it a new TV, a holiday or a home makeover. You don’t even have to pay a deposit to enter the competition. When you join Dream Bingo as a new member, you will get a £30 bonus when you deposit £10, giving you £40 to play with. There is also a Newbie room, which gives new players the chance to learn all about playing Dream Bingo alongside other new players. As everyone is new, it is the perfect opportunity to make friends for life. The Newbie room is open from midday til 2pm and 5-7pm. It’s only available to players for the first five days after they have registered the account. 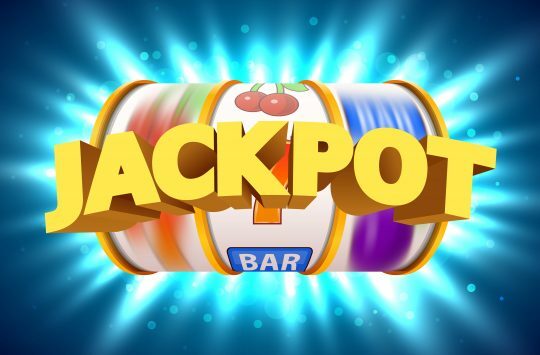 Newbie games have varied jackpots, but there is a £700 cash game. Newbie games are also free to enter. Dream Bingo Advent Calendar – A special promotion behind each window of the advent calendar until the 25th December 2016. £600 guaranteed game on the last Friday of every month for loyal players – you’ll get one ticket for every £50 deposited. When you register for Dream Bingo, you’ll be asked for some information. You will need to give your email address, phone number and address details for identity verification purposes. 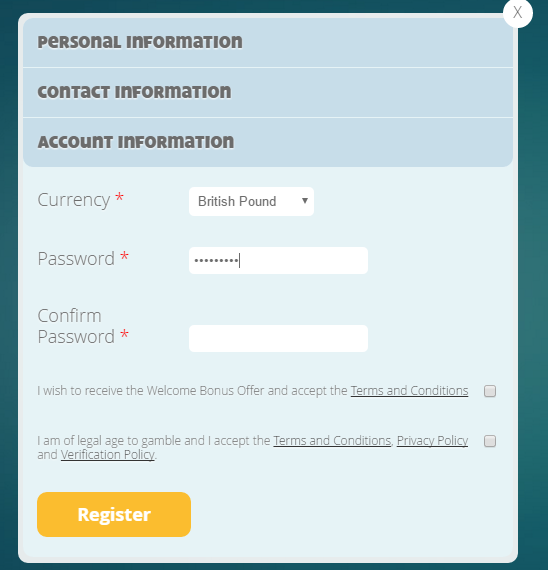 You’ll also be asked which currency you wish to play in and whether you have read the website’s terms and conditions. You can sign up to Dream Bingo without making a deposit, which is a good opportunity to have a look around the site and see if it is right for you. 90 ball bingo is the most popular way to play bingo in the UK. With 90 ball bingo, there are three chances to win – the first opportunity is a line, the second is two lines and the third is a full house. The latter will be the biggest prize and the prize amount that you see advertised for 90 ball games is generally split into the three amounts. 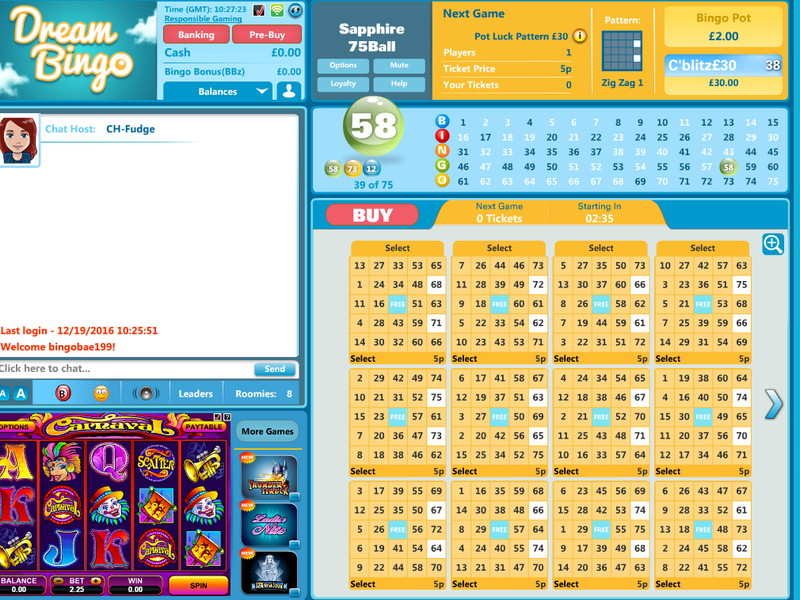 For each 90 ball game on Dream Bingo you simply purchase tickets and wait for the game to start. Ticket prices for 90 ball games vary. There are also different themed rooms for 90 ball bingo. One is the Friendship room where there are plenty of chat games to keep spirits up and help you make new bingo friends. 75 ball bingo is the most popular way to play in the USA. 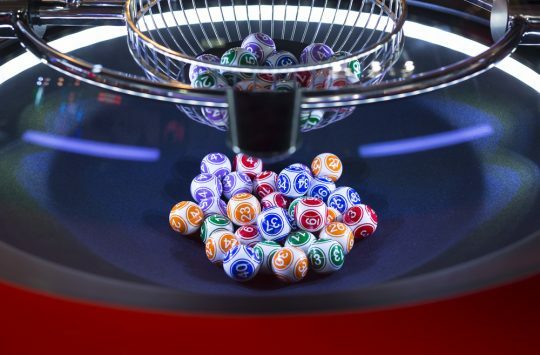 Instead of giving a player three chances to win, 75 ball bingo usually only offers one chance to win. Players must use the numbers to form a pattern on their card – usually a cross or a double line. This occurs by crossing the numbers off as they are called out. Numbers in 75 ball games are allocated using the BINGO method – B for numbers 1-15, I for numbers 16-30 and so on. The centre space of the card is free, and can be used by players to help form the pattern they need to win. With the other games, the stake varies on how much you wish to bet. The computer may pre-set this for you, so remember to check before you play. You can speak with a member of the Dream Bingo team instantly via the live chat service which is available 24/7. If you prefer to speak to the team over the phone, you can contact Dream Bingo by calling 0808-238-0021. If you would like to contact Dream Bingo via email, you can do so by emailing support@dreambingo.com. 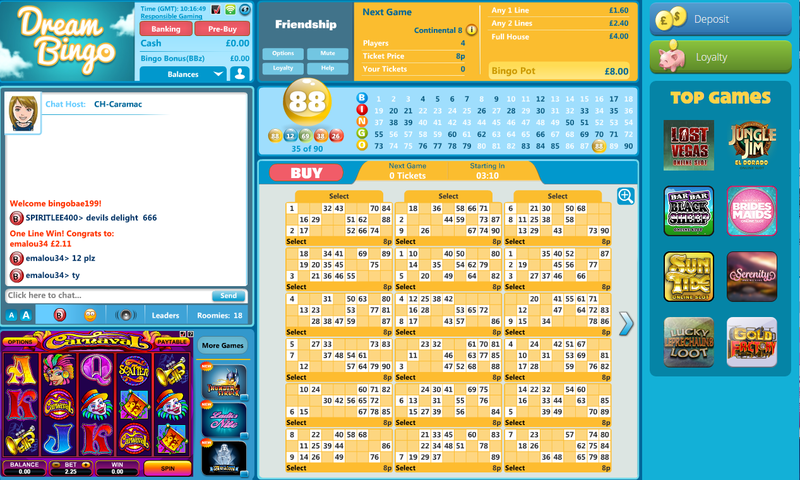 The Dream Bingo site is very easy to use and the design is simple. The software seems to run fast on a computer and you can easily see how to buy tickets. We liked the option of being able to win other prizes such as an Apple TV and shopping vouchers. The option to sign up without making a deposit is also beneficial as it gives you the chance to decide whether you like the website and the games available before you make a deposit. Easy to use, simple website. Option to sign up without needing a deposit.